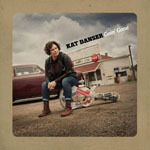 Share the post "Album review: KAT DANSER – Goin’ Gone"
If you ever wondered what it might sound like if Chrissie Hynde/Joan Armatrading did a stripped back Deep South blues roots album, Goin’ Gone by Edmonton based Canadian Kat Danser is the answer. And while I’m not normally a blues fan, there’s something compelling about her fifth album, a[nother] collaboration with Juno award winning producer Steve Dawson. There’s no tricks, no fancy licks, just some marvellous blues tunes played with gripping sensitivity by the ‘Mechanics’ – Steve Dawson (guitars, pedal steel), Jeremy Holmes (bass, mandolin), Gary Craig (drums, percussion), Jim Hoke (saxophone, harmonica), and Matt Combs (fiddle, mandolin), capped by Danser’s authentic southern delivery. Dispensing with the gospel elements that punctuated her last outing (Baptized By The Mud (2013)), Goin’ Gone effortlessly chugs gently down the line through swampy roots country, traversing highways and dusty gravel roads in Danser’s unique blues roots/ singer songwriter style. This entry was posted in ALBUM REVIEWS, ALBUM REVIEWS (Mobile), All Posts and tagged album, blues, Goin' Gone, Kat Danser, review, roots, singer, songwriter, Steve Dawson. Bookmark the permalink.